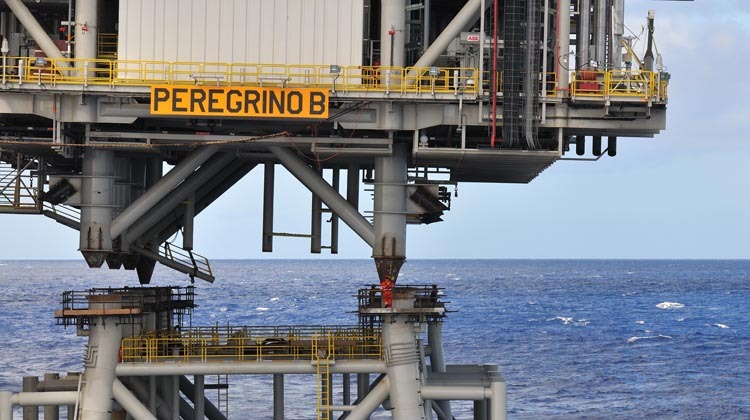 HMC was awarded a contract by Anadarko and Norsk Hydro (50/50) for the transportation and installation of the Peregrino Platforms. 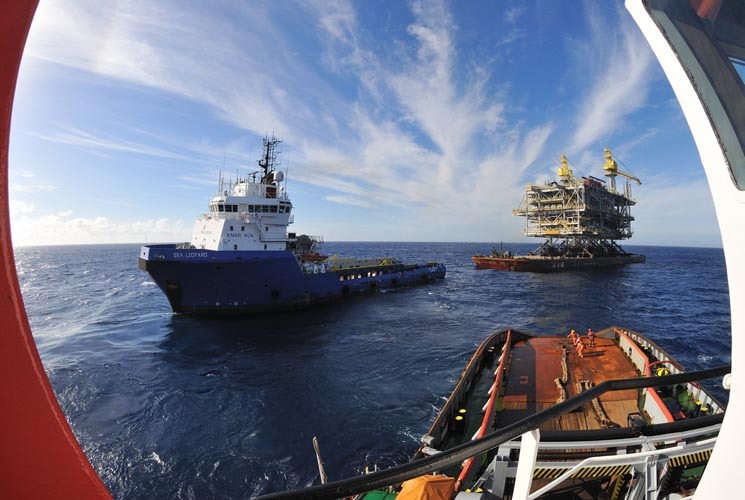 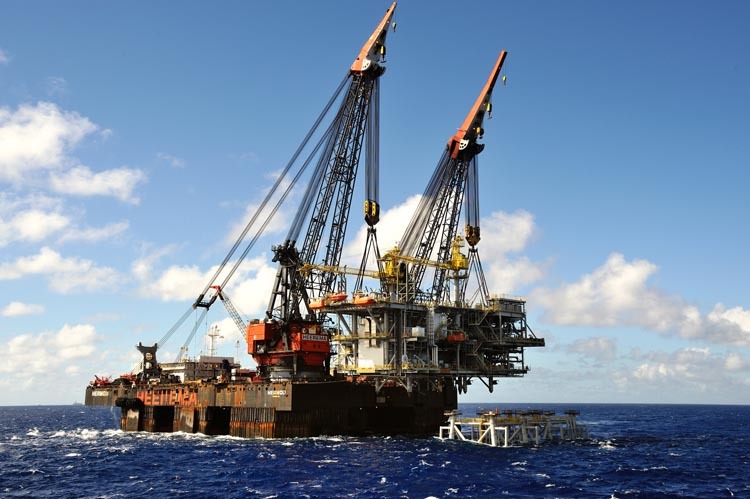 The project comprised of the transportation and installation of 2 drilling platforms offshore Brazil in a water depth ranging between 100 and 125 meters. 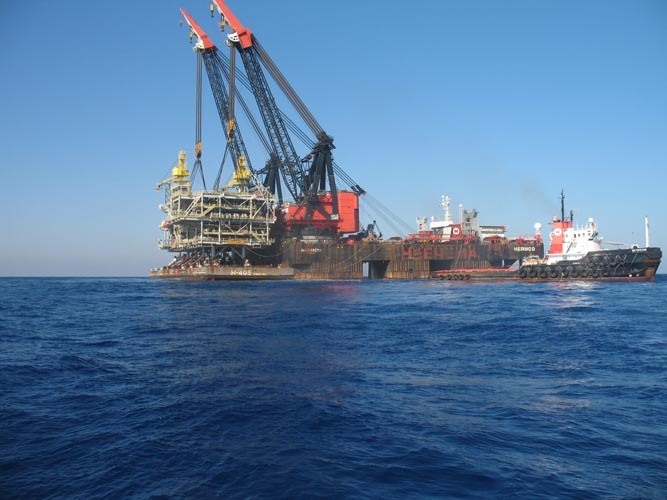 The platforms consisted of a launch jacket with estimated weights of 6500 short tons and 6900 short tons, 8 skirt piles each platform, topsides, weighing approx. 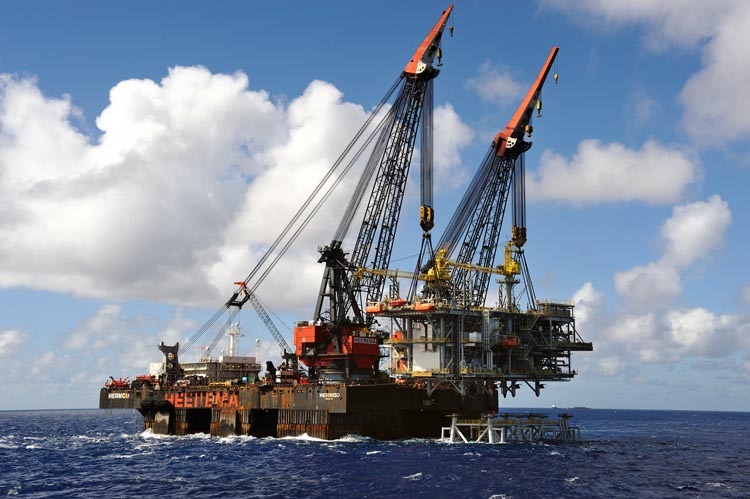 6000 short tons and drilling rig packages. 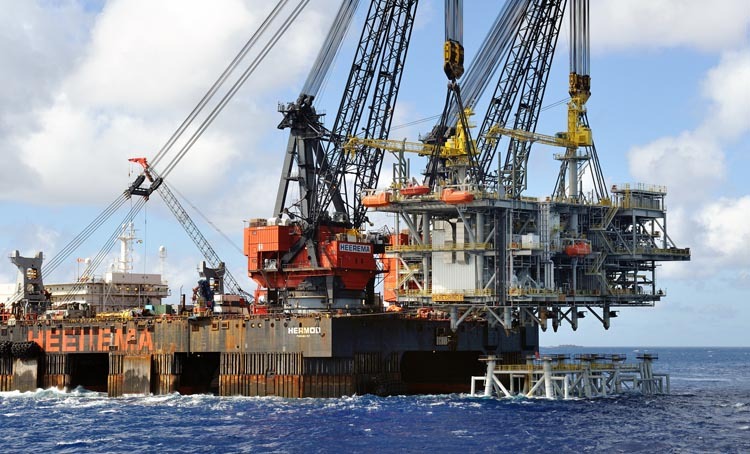 Each platform was installed by means of a launch jacket and dual crane topsides lift and some drilling packages. 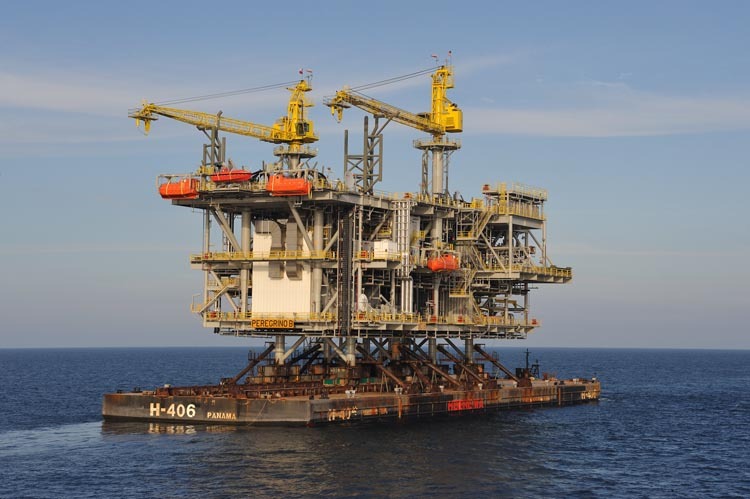 The platform components were all fabricated by Kievit Offshore Services (KOS) in Corpus Christi, Texas. 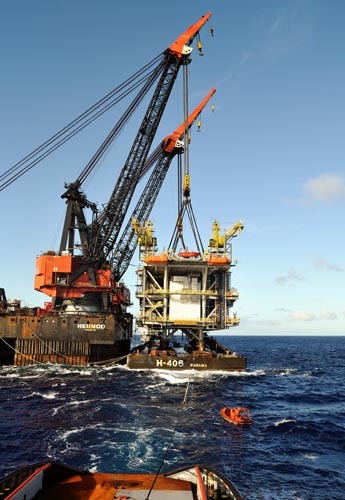 "Heaviest lift by the Hermod (6,287 t) WHP-B Deck"